The Milescraft® Model 1206B SignCrafter™ with TurnLock™ helps you create professional looking signs with your router. 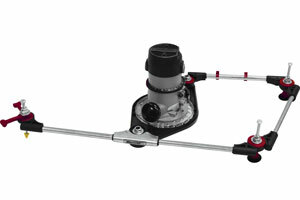 The adjustable clamping system allows you to rout signs up to 36" in length. The character templates, made of durable polymer material, are self-spacing so there is no measuring required. 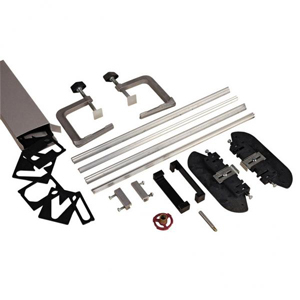 SignCrafter™ includes a TurnLock™ Base Plate that will fit most routers. With TurnLock™ as an integral feature on the Base Plate, bushing exchange is tool-free, hardware-free, and takes only seconds. All of the convenience and features of the 1206 SignCrafter™ with expanded capabilities that will make you a Sign Pro! The Milescraft® Model 1212 SignPro™ with TurnLock™ helps you create professional looking signs with your router. The adjustable clamping system allows you to rout signs from 4" to 12" in width and up to 36" in length. The character templates, made of durable polymer material, are self-spacing so there is no measuring required. SignPro™ includes a TurnLock™ Base Plate that will fit most routers. With TurnLock™ as an integral feature on the Base Plate, bushing exchange is tool-free, hardware-free, and takes only seconds. Self-spacing templates ensure correct distance is maintained between characters with no measuring. Made of durable polymer material. 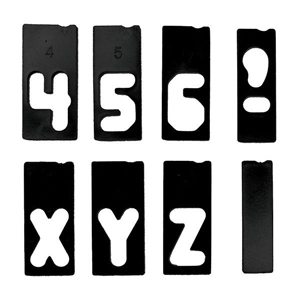 Self-spacing templates ensure correct distance is maintained between numbers with no measuring. Made of durable polymer material. 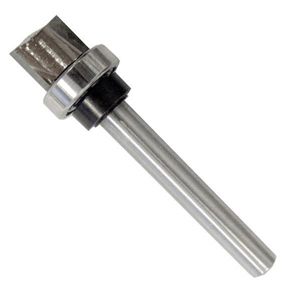 These Long Reach Router Bits are 2-3/8" long tungsten carbide tipped bits perfect for routing wood signs. 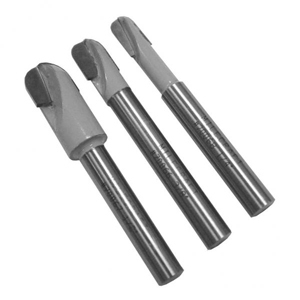 This 3 bit set comes with a 1/4 , 3/8, and 1/2" core box bit, each with 1/4" shank. 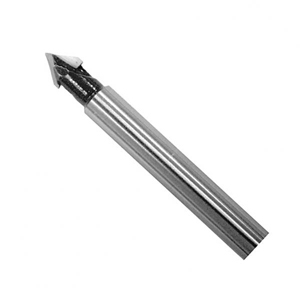 The 1/4" bit is the same bit provided with the SignPro™ from Milescraft® for use with the 1-1/2" letter templates. 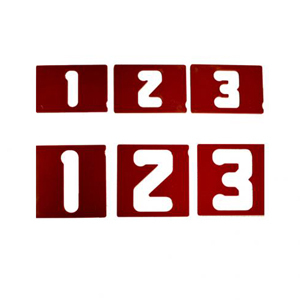 The 3/8" bit is the same bit provided with the SignCrafter™ and SignPro™ from Milescraft® for use with the 2-1/2" letter templates. 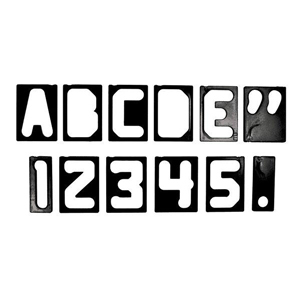 Use the 1/2" bit with the 2-1/2" templates to create 'bold' letters. For use with Milescraft® mortising kits, including 1213 DoorMortise Kit, 1214 HingeMortise Kit, and 1215 StrikePlateMortise Kit.